As decided at the WRJ Assembly 2015, the Assembly will no longer be the flagship event for WRJ. Though WRJ will continue to have a presence at the URJ Biennial, WRJ-focused leadership training, learning, networking, worshiping, legislative processes, and more will take place at the WRJ Fried Leadership Conference. 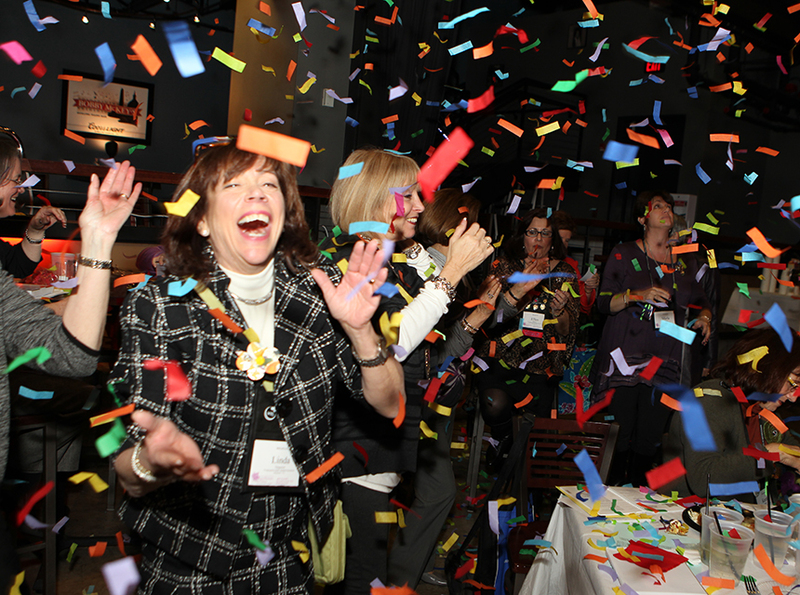 The WRJ Assembly, which was held in conjunction with the URJ Biennial at the end of odd-numbered years, was a one-of-a-kind, five-day experience for Reform/Progressive Jewish women. It was the place for WRJ members and women from across North America and around the world who identify with or are interested in the Reform Movement to come together to learn through various workshops and study sessions, worship, share ideas and best practices, make decisions about WRJ policies that will determine the organization’s future, hear from inspiring presenters, dance and sing to exciting music, shop at Judaic and art vendors, reconnect with old friends, and form new bonds. Those at the WRJ Assembly got the opportunity to interact with hundreds of WRJ members and thousands of Reform Jews, leaving attendees completely inspired and affording them a breadth of new knowledge that they bring home to their respective sisterhoods and Jewish communities. This event covered the gamut from ‘nuts and bolts’ to more advanced subjects, including topics for all Reform/Progressive women from Assembly first-timers to Assembly veterans. There was something for everyone, every day, at the WRJ Assembly! Additionally, every year, WRJ Assembly Grants were given through a selection process to help offset financial burdens that may be a hindrance to WRJ sisterhoods who have not had a representative(s) attend either of the most recent two Assemblies.